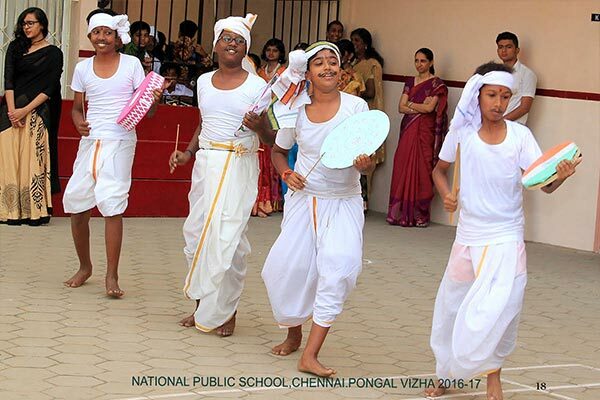 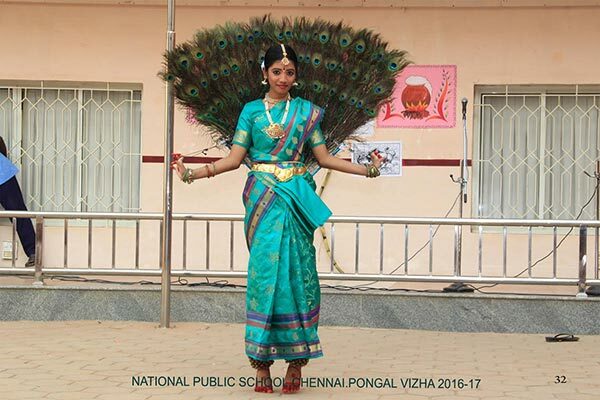 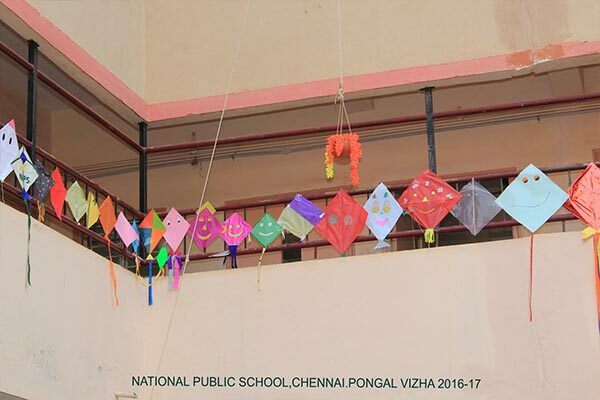 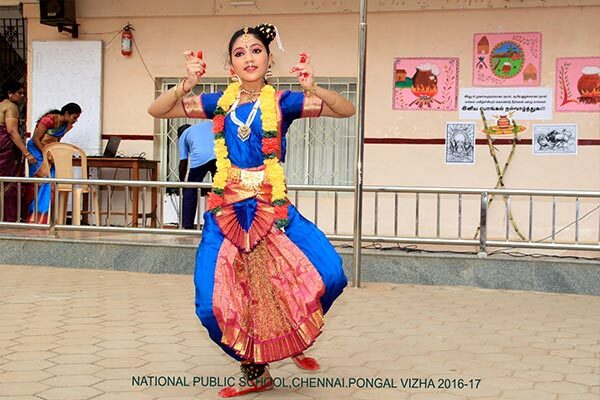 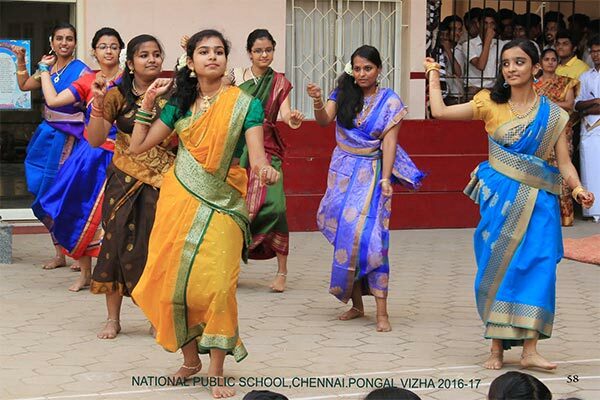 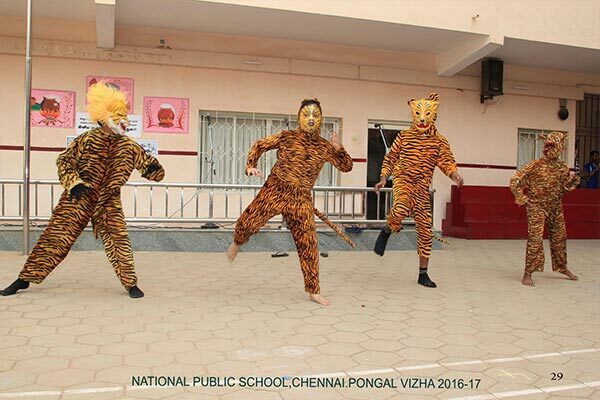 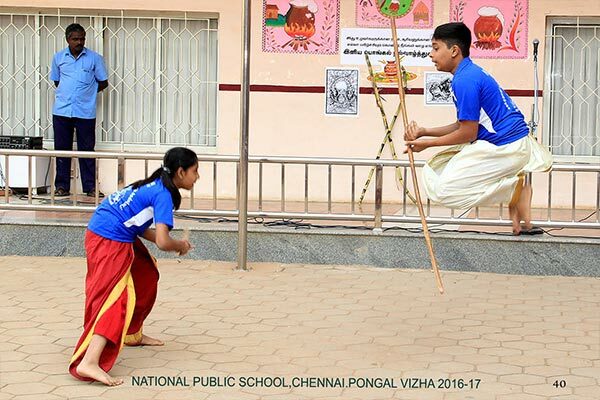 Pongal was celebrated on the 10th of January, 2017 with a colourful presentation of the various folk arts of Tamil Nadu. 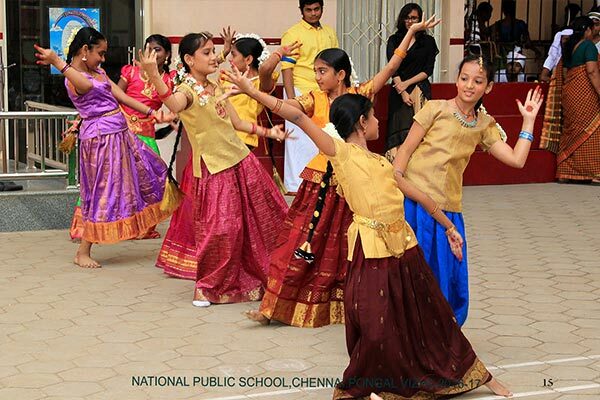 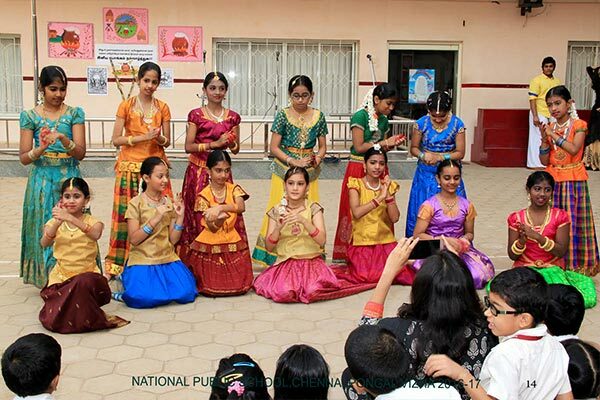 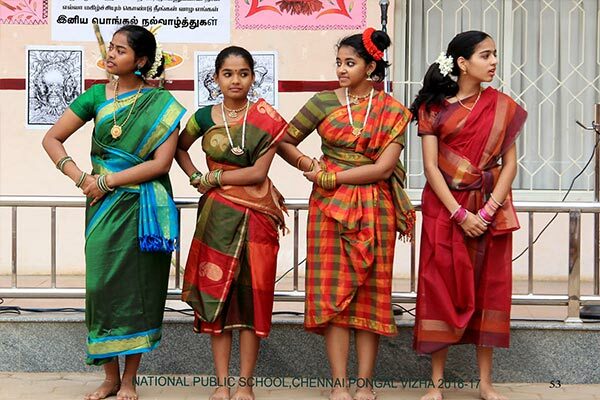 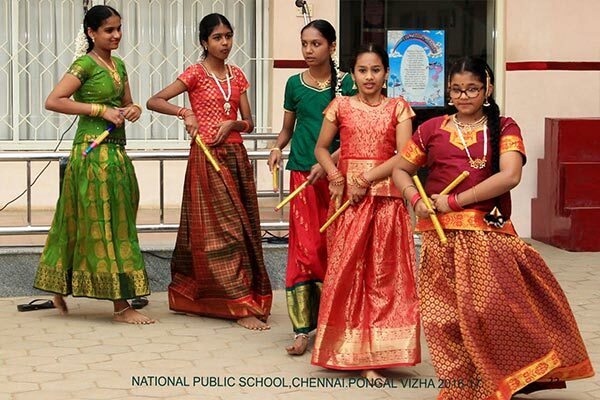 The programme began with the importance of the Margazhi month and the festivities associated with it. 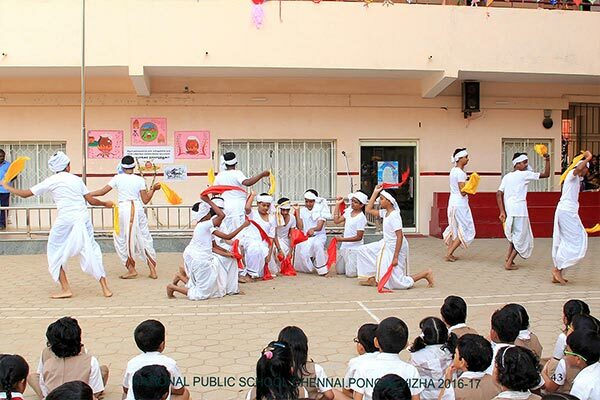 This included “Kummi Dance”, “Thapaatam”, “Silambattam”, “Oliyattam” and “Poikal Kuthirai Attam”. 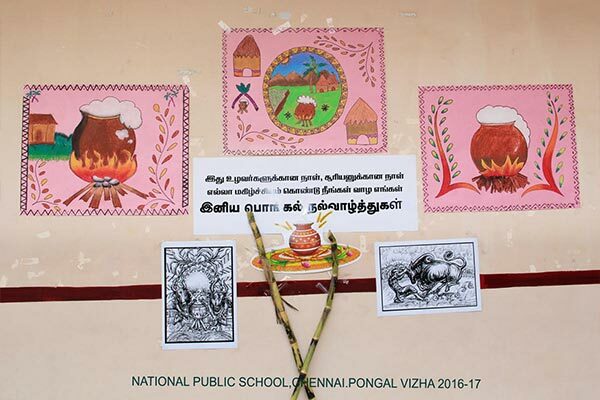 A scene of how Pongal festival is celebrated in villages and cities was depicted. 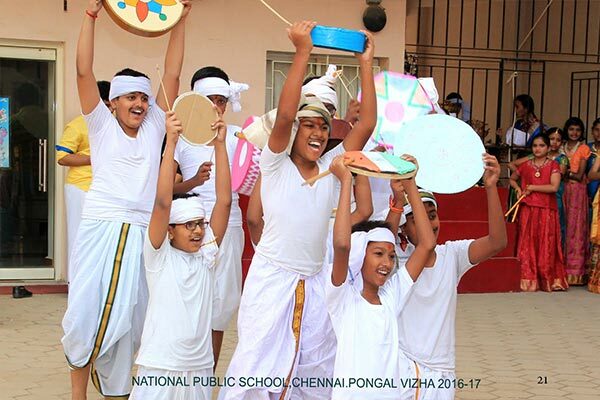 The celebration ended with the Uriaddi tradition of breaking the pot by the senior students.